Being skinny has become such an obsession that people get into the trap of anorexia and even depression if they can't get a body identical to a model or film star they follow. All the well rounded people are seen as uncool and any layer of visible fat is sacrilege. I see this extreme obsession with the body image is more common in women as they are constantly trying to prove their worth in every way and being well rounded means they haven't been good enough. I believe no one should stay in the trap of others' opinions about themselves, although all of us might have been into that phase at one point of time in our lives. Some of us get out of this phase very early and some of us need more time to realise our self worth. But why am I talking about body shape and self worth today? Because I have known a girl who defies this very norm every single day. She has been a swimmer all her life, goes for hiking, cycling tours and rappelling and is fit to the boot, she has a real strong body that doesn't fit into a skinny mould. And she gives two hoots to those who think differently. Oh and she has had her share of personal life struggles as well. Those she has kicked aside easily now. Meet Pankaja Date from Bombay. I have known her for a few years now and am very fond of her. 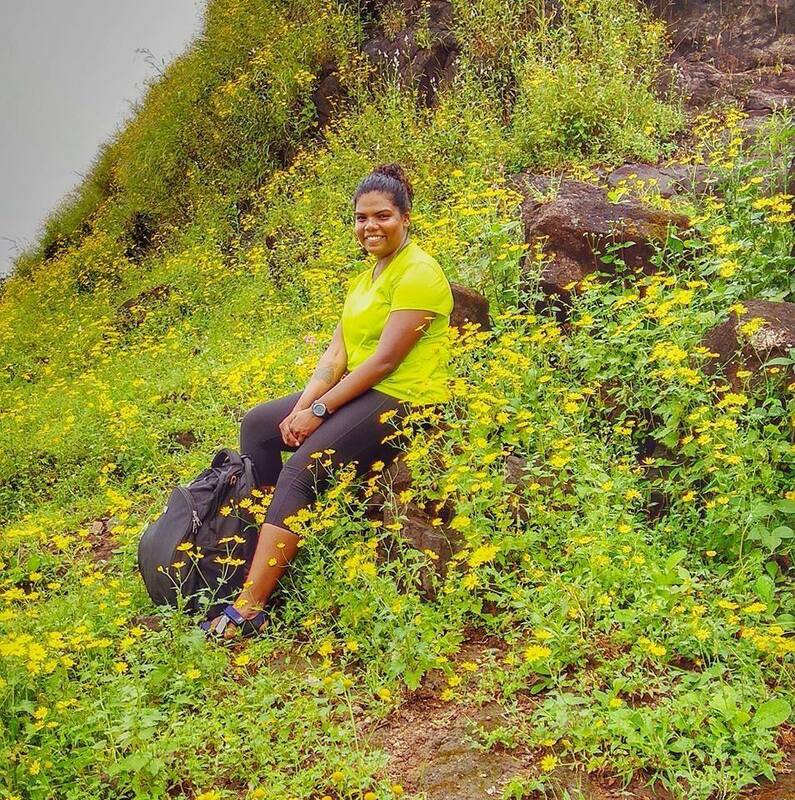 For years I have been thinking of featuring Pankaja on my blog so that you all can see how real food fuels an athlete and how an athlete can excel in her sport even though there are a few pounds extra on her body. 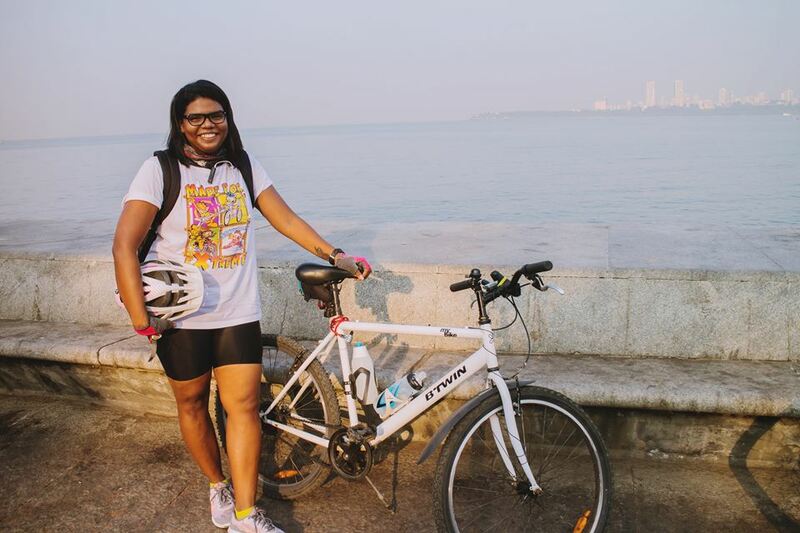 When I got to know Pankaja has joined a new job and has started going to her office by cycle, I couldn't stop anymore and asked her to tell me how she manages it all. I mean going to your workplace in cycling gear might be a deterrent and you might feel that all the cycling would exhaust you for the whole working day ahead. Pankaja has a more realistic story to tell. She feels more energetic when she cycles to work. Isn't tat amazing? Well, we would say it is the serotonins doing their work but the first step is not fired by serotonin. We have to take that first step and walk a bit to realise how it works. 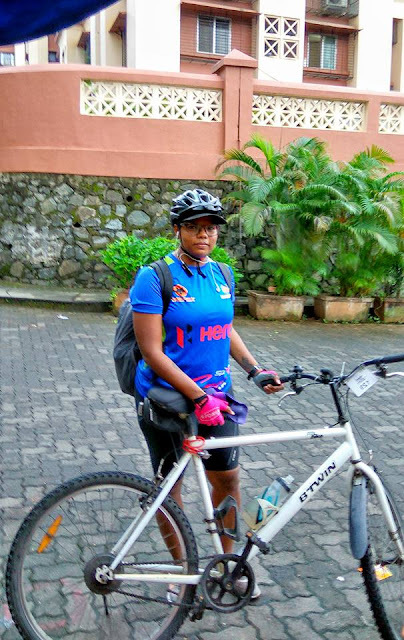 Read on how she found cycling in her childhood and how she manages cycling to work, in her own words. My grandmother had, in her garage in Pune, an old gents’ bicycle, which my mother and uncles had used, and when she saw me eyeing it, she was only too glad to have it sent over to us in Mumbai. It helped that we lived in institutional premises, where there were a lot of open spaces, and I learned cycling the standard way: pedaling like my life depended on it, while my brother ran behind lightly holding the seat, yelling instructions. A bunch of crashes in the bushes, when I forgot the brakes, and I was ready to go. 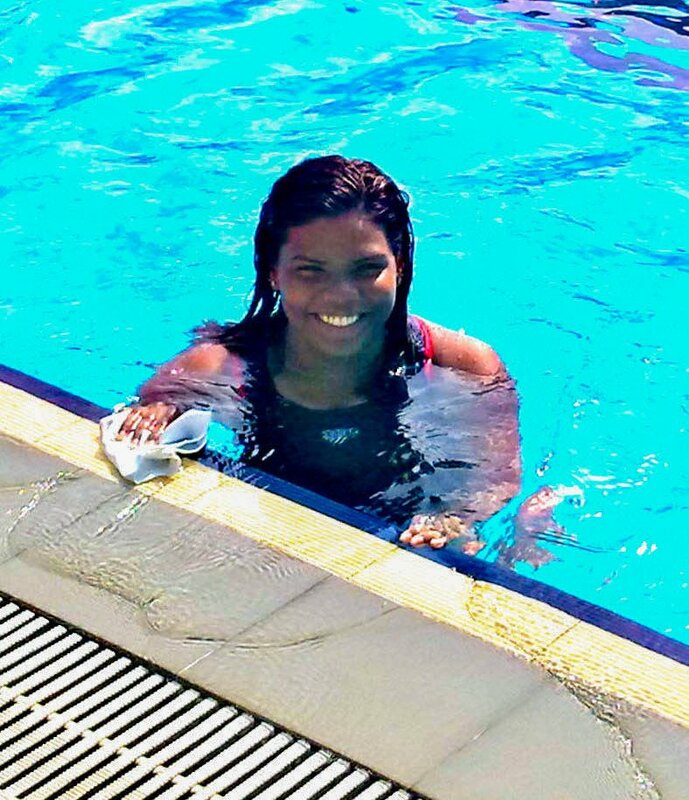 In the third decade of my life, it was my vehicle of choice, when I had to travel some distance, working as a assistant swimming coach, at dawn, every alternate day. In the last two years, I have come to enjoy two activities : running and cycling. No sprints, but long distances. Running is possible because currently, there are places where I may run without any four wheelers coming in my way. I bought a gearless BTWIN bike 2 years ago, when I kept getting a buzz in my head about long distance cycling. I just went to the mall, looked at bikes, and brought one home in a auto, to the complete consternation of my parents. This bike has gone places. Yes, it is a struggle on inclines, but gearless, makes you stronger. 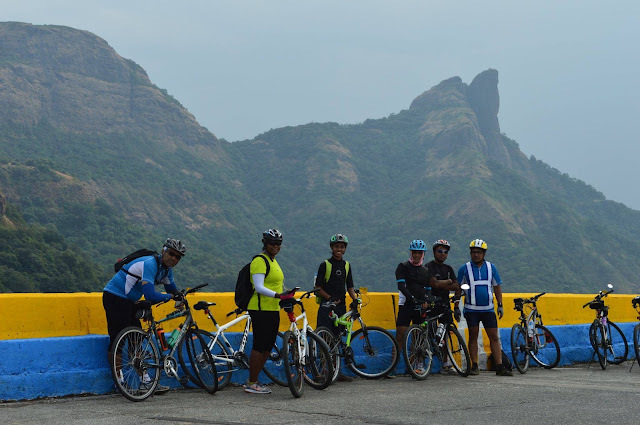 I have done several 100 kms cycle trips, half way to Pune, some even along the western coast. A trip in Mumbai itself can cover as much s 70 kilometres over a round trip. Most of these trips are early morning dawn trips, and some are all night rides in Mumbai, to its southern trip, with stops at heritage places and all night food places. All these being done with a set of folks from the growing cycling groups in the suburbs of Mumbai. When I started work in Mumbais' most popular western suburb business district, I originally started with a bus and train commute, which was 2 hours each way. Not to mention, crowds, shoving, pushing and running to catch connecting buses and trains, and getting stuck in traffic. I am part of a local bike group, that has people of all ages, from 18 to 56. There are some like a lawyer, who commutes to work daily on his bike, to the same area where my office is located and even further. My inspiration to cycle-to-work was these folks. Biking involves specific type of clothes, and other paraphernalia. 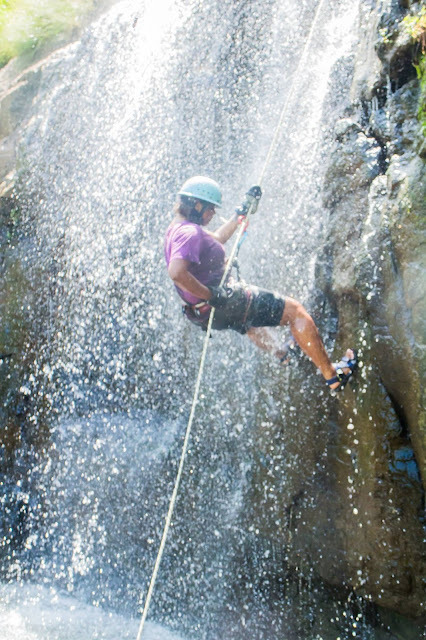 The ability to carry sufficient fluids on your bike. A helmet is compulsory; don’t know if there is a law, but good sense decrees that you wear a helmet. I always carry a reflective jacket of a bright yellow color and a pink rain jacket during monsoon times. The reflective yellow is mandatory at night, and my cycle too is fitted with blinking lights that alert other people on the road. I ride with my paraphernalia in my backpack. My jackets, my purse, my lunch dabba , and sometimes, my DSLR camera, though it is better to keep the load lighter. These days I carry a change of clothes /kurta/leggings/freshen-up stuff too. It takes me 50 minutes to cover the distance of 20 kilometres, which includes, all kinds of slopes, flyovers, highways, service roads and main roads. While it is becoming commoner and commoner to see folks riding bikes, some folks on the road feel they need to react. Things are clearly different when you ride in a group, and when you are doing a solo ride. It isn't everyday that you see a girl in cycling shorts, emblazoned top, reflective /ordinary jacket, and a funny helmet cycling by. Nowadays, thanks to the Mumbai pollution , I even wear a good quality fancy mask, which attracts more stares. Then there are those on four wheels, who kind of pass by you at a closer distance than normal. Some feel the need to communicate, and continuously honk as they overtake you. It appears a law against honking is happening. I hope these types get pulled up. I ignore all these folks, and concentrate on following traffic rules, road directions, signals, and weather indications. On dark monsoon days, the reflective/bright jacket is very useful. I park my bike in the two wheeler parking in the office building , and the lock it as well as tie it up with a lock to the parking railing. The first time I landed up at work in my bike avatar, people were thunderstruck. They couldn’t believe I cycled the distance. I quickly changed, freshened up, and got down to work. Come evening, I change back into my bike clothes, and the first time I started back, the top boss was alarmed that I was planning to use the Western Express Highway, and urged me to be careful. I have tried various routes. Some of the shorter ones, have so much traffic in the evenings, that even bikes like mine cannot sneak through. One has to very alert and attentive, and avoid any kind of bravado . By and large, I think people are very appreciative that one is making this effort to reduce pollution, most people leave you alone on the road, and one has to learn to ignore those that think intimidating solo girl riders on bicycles is fun. No doubt there is a lot of staring happening. But I don't have the time to react. I feel very fresh after I reach work, and there is no sense of fatigue. In case you want to know about food and fluid intake, I just have a good breakfast of toast and 2 eggs. I carry water /Electral sachets, and my mother makes dry fruit sugar free laddoos for me to munch after a successful ride. The lunch box has the usual roti subzi and my mom packs a treat some days that could be a delicious alu vadi or kothimbir vadi, everything is home cooked. You see how Pankaja finds it utterly simple. Being cautious about our own health and the health of the planet comes from a deeper consciousness and I am glad I know a few such people who inspire others in this regard. By the way, I asked Suranga Date, her mother for a recipe of the mixed nuts and dates laddu she makes and she obliged. 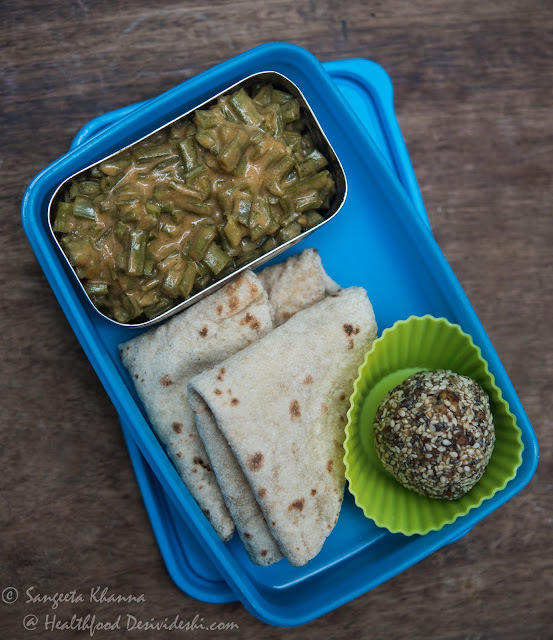 The recipe is quite similar to what I make at home but I am sure I would steal a laddu from Pankaja's lunch box if given a chance. Well, I am not so lucky so I made the laddus myself to share the recipe with you all. Heat the ghee and fry the chopped almonds and cashew. Let them become a little aromatic and crisp before adding walnuts. Fry at a low flame for a couple of minutes and add the date paste. Now keep stirring the mix at low flame till the mixture dehydrates a little and date paste get caramelized. Turn off the heat when the mixture gets dehydrated enough to make balls or laddus. Let the mixture get a little cold and then make the laddus pressing small portions in your palms and shaping dense balls. Roll the balls in poppy seeds and arrange on a plate. Repeat to make all the laddus and keep them in an airtight container. 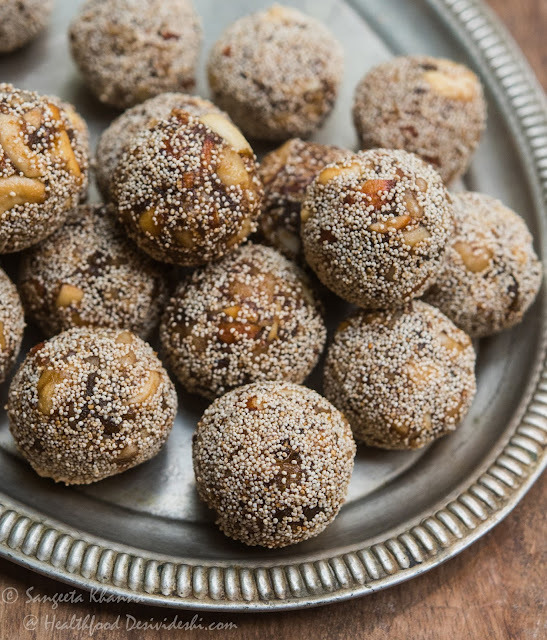 These laddus stay good for a week at room temperature but since soft dates can get contaminated easily owing to their high moisture content, it is better to keep this refrigerated. One laddu as a protein snack is great after workout snack or any time of the day when you feel like eating something sweet. All pictures of Pankaja are provided by her. She is doing a great job isn't it? Ah ! Forgot to say that poppy seeds on the laddoos is something I need to try out. Everything else is the same. I suppose poppy seeds is a good high energy addition? Someone had advised rolling the ladoos in dry coconut toasted shreds. But i think sometimes coconut smells in Mumbai's hot damp weather. Poppy seeds sounds good . Will try with the next lot of laddoos I make for her. 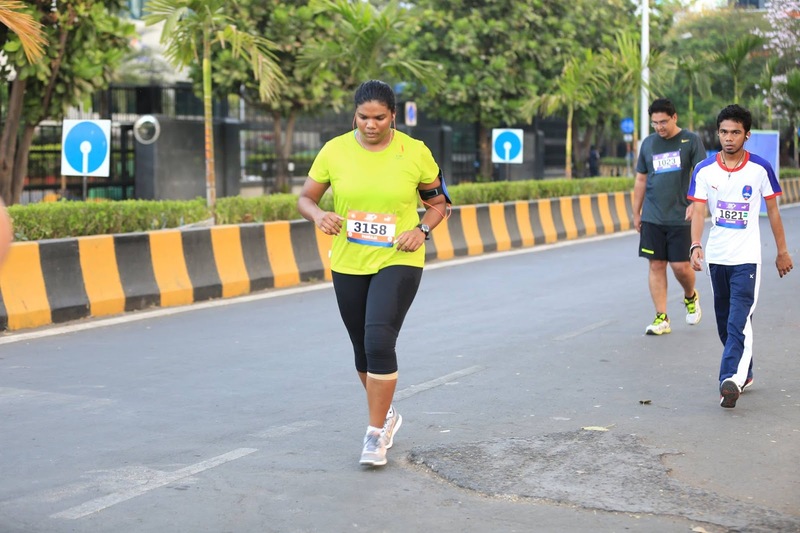 Pankaja is my favourite girl too :) Really wowed by her grit and gumption to have found her rhythm to fulfill her passion for the outdoors and especially cycling and running. 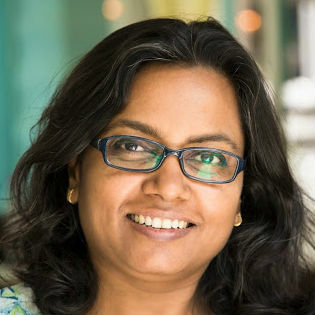 And knowing your own passion for cycling, it is just fitting that you have featured a fellow enthusiast on your blog, Sangeeta! Hugs to both of you! Thanks for bringing her on your blog Sangeeta, it is really an inspiration to know that such people exists and these people shows us that where there is a will there is a way..